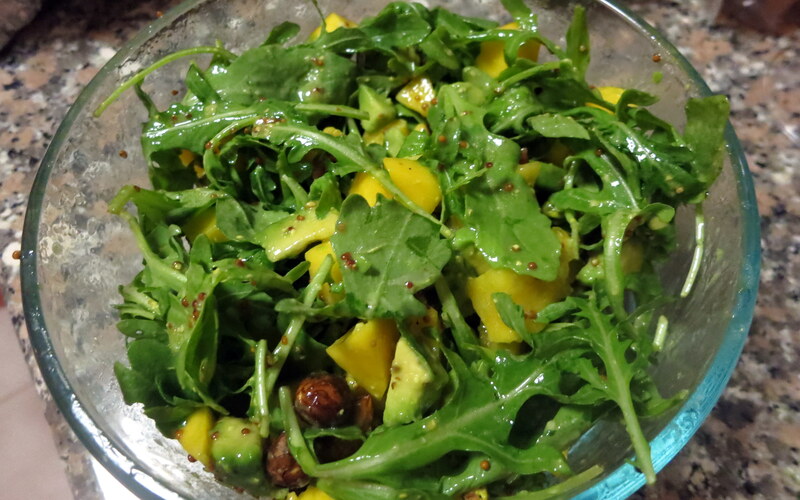 Tori actually found and suggested this recipe and we incorporated it into our dinner feast to really maximize the healthy veggie factor of our meal. 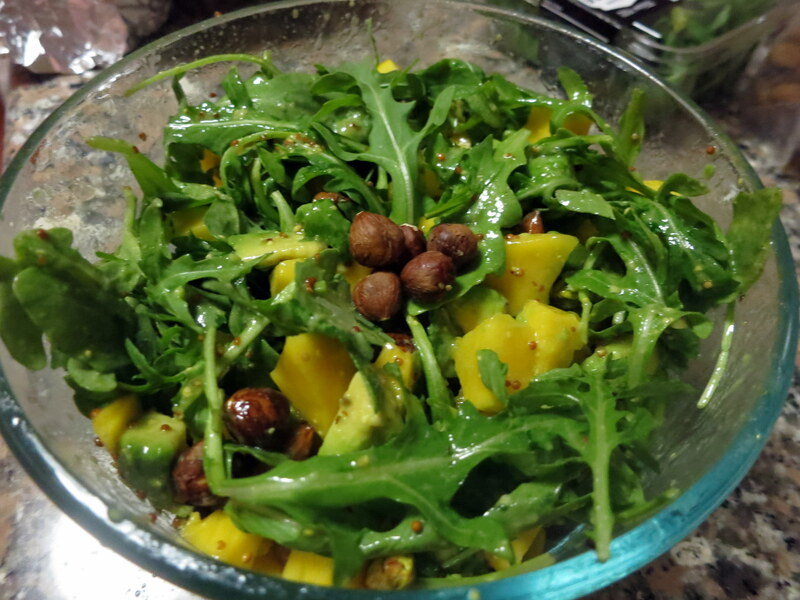 The salad is pretty simple but I think the combination of mango and avocado is severely underestimated. Jen and I actually made Mango Pomegranate Guacamole before and it was a huge hit! 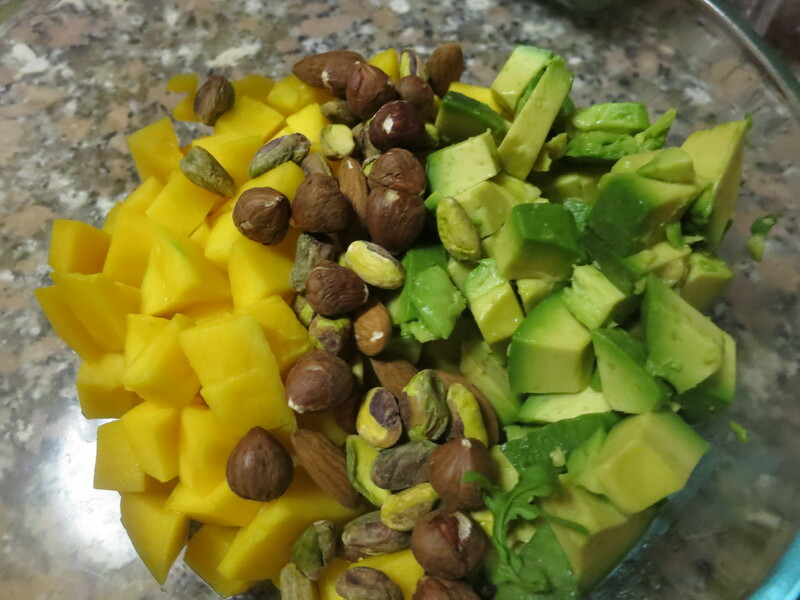 That also means adding some pomegranate or other zesty fruit would definitely work in this salad. Check out Mango Salsa and Cajun Chicken with Pineapple and Mango Salsa for another mango-based recipe ideas! We served this salad with some chicken, but I think it would also complement Tequila-Lime Shrimp Tacos superbly.